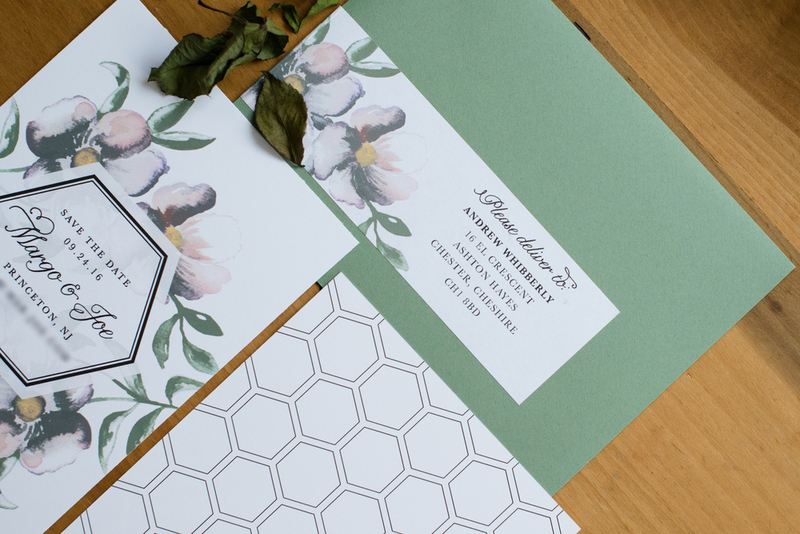 A modern geo shape is complimented by garden florals in this lovely save the date design. 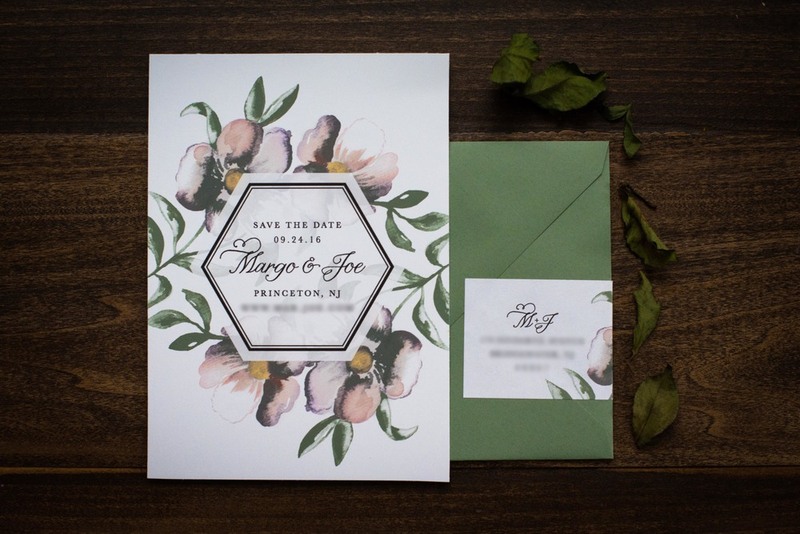 There are a range of factors that can affect the pricing for invitations - like printing methods, cardstocks, and guest addressing. Our average starting prices are approximately $1,000-1,500 for 100 invitations, depending on the type of invitations. Knowing your budget helps us narrow down what options would work best for your project.